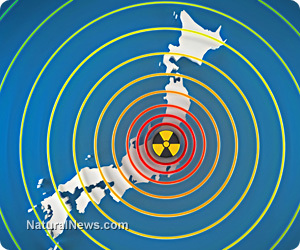 (NaturalNews) Breaking news from Tokyo, Japan confirms that levels of cancer-causing cesium-134 are showing up in groundwater samples at rates 90- 110 times higher than all previous readings at the Fukushima disaster zone. The announcements are coming from the Tokyo Electric Power company (TEPCO) who has been monitoring the battered Fukushima nuclear power plant. Scientists believe it could take up to forty years to clean up the nuclear waste. The new high level readings of cesium-134 may mean that the destruction has just begun and that the Pacific ocean is set to become "the ultimate sponge" for this nuclear disaster. Even though the high cesium readings are coming from groundwater nearby the battered Fukushima plant, the Tokyo Electric Power company is refusing to comment on the origins of the high cesium-134 levels and this has many up in arms, criticizing TEPCO. A Japan nuclear watchdog, the Nuclear Regulation Authority, has condemned the Tokyo Electric Power company for not coming out and warning the public of the origins of the high cesium levels. The Nuclear Regulation Authority said in its review, "It is strongly suspected that highly concentrated contaminated waste water has leaked to the ground and has spread to the sea." TEPCO is underplaying the new findings, as they fail to identify the origins and destination of the toxic groundwater. The Nuclear Authority believes the toxic groundwater is directly flowing into the Pacific Ocean and are calling for further investigation. Urging for a detailed explanation from TEPCO, they are tired of the disaster being downplayed. Regardless, TEPCO says the contaminated groundwater is likely to be contained in its current location by concrete foundations and steel sheets. This idea seems strange, due to groundwater's pervasive downstream flowing ability, directly into the Pacific Ocean. As the emergency of the situation continues to be disregarded, many are wondering what's going on behind closed doors as the ordeal becomes hush-hush." It's even more interesting to note that the TEPCO Company has admitted in the past month that recent soil samples at the Fukushima plant are showing up with other high level readings of cesium-137, tritium, and strontium-90. Substances like these were released and are increasing in incidence due to the Fukushima nuclear reactor meltdowns that followed the March 2011 tsunami which swamped the plant and shut down the cooling systems. Now the cesium levels are at their all-time highest since the March 2011 breakdown. At the time of the meltdown, tens of thousands of people were forced from their homes to avoid the toxic radiation onslaught from the planet's worst nuclear accident in the last generation. The meltdown furthered the tragedy of the earthquake and tsunami that claimed over 18,000 lives in Japan. In preparation for future meltdowns, thousands of tons of water are being stored on site, in order to cool reactors in an emergency storage tank leak and power outage situation, but is it too little, too late? A TEPCO official told the Japanese media. "It is unclear whether the radioactive water is leaking into the sea. After gathering needed data, we will conduct analyses." "I see (TEPCO) has not been able to find the cause of these spikes in readings," Nuclear Regulation Authority Chairman Shunichi Tanaka said at a meeting among commissioners. "TEPCO says there has not been meaningful impact on the environment. But we must see for sure what are the possibilities of this leading to oceanic contamination," Commissioner Toyoshi Fuketa, said. There is certainly a mass call for further investigation into the causes and the consequences. There is growing concern for the consequences sure to come as toxic waste overflows into the Pacific Ocean. Will the devastation of cancer-causing waste linger on into forever as the ocean mops up the mess and spreads the disaster to all life?